The solid Type IIa diamond features an angle of incidence of 45° and a size of 2 mm x 2 mm. Due to the large sample contact surface, extremely wide samples (max. 8 cm in width) such as plastic panels can be analysed. The low aperture enables the analysis of very small samples, even micro samples such as individual fibers or particles. The completely enclosed design of the unit prevents contamination of the transfer optics and enables purging with gas. Offering the same benefits as the Golden Gate standard ATR unit this heatable version additional enables heating up to 200 °C, and up 300°C in the high-temperature version. Only the diamond mounted in tungsten carbide is heated. 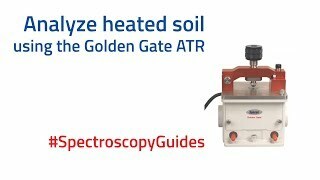 The Reaction Cell Golden Gate ART enables the analysis of liquids under extreme conditions of temperatures up to 200 °C and pressures up to around 200 bar. The volume of the sample area is 28 ml, its material is stainless steel. A water cooling jacket prevents heating of the spectrometer sample area. This is a special version of the Golden Gate Diamond ART suitable for use at extreme pressures and temperatures. 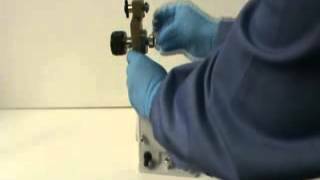 During the measurement, the sample is located in a small-volume stainless steel chamber enabling temperatures up to 300 °C and a pressure up to 340 bar (5000 psi). 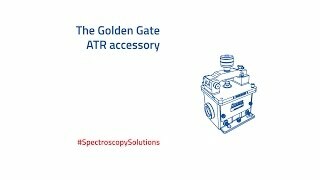 The Low Temperature Golden Gate ART enables measurements on solid samples and liquids in a temperature range from -150 °C to 80 °C. The system uses a thermally insulated dewar made of copper and stainless steel, which, in conjunction with an integral heating system, enables temperature to be varied continuously throughout the entire range.